Many bots are developed and implemented across various platforms. However, tracking and analyzing them and their functionalities and results are what matter for an operational organization. 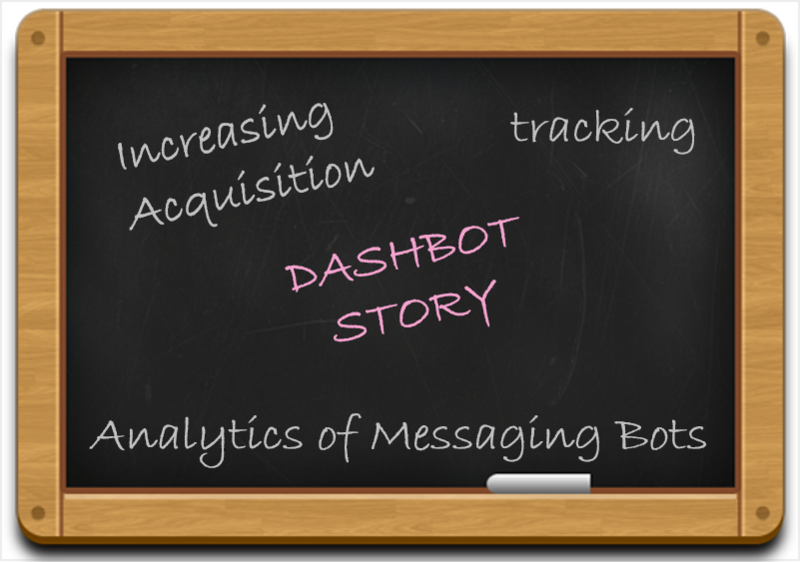 Dashbot is a platform which performs such measurable analytics of the messaging bots. It helps in increasing acquisition, user engagement, and monetization. It provides actionable bot analytics along with vital features like specific metrics, funnels analysis, live transcripts, and others to improve the performance of the business through bots. Arte Merritt, Jesse Hull, and Dennis Yang founded the company. Earlier, Arte has founded the Nokia acquired Motally, a mobile analytics platform. Jesse founded Mesmo, while Dennis has been the co-founder of Bureau of Trade. The founders understand the importance of bots and their power of understanding the user behavior. A platform like Facebook Messenger, WeChat, Slack, and others are marking a standard and usability of such bots’ interaction. Merritt shares that the current analytical platforms like Google and Adobe lack in tracking the essential information regarding bot working. The marketers and developers focus on some set of statistics that follows voice, text, locations, and images. Bot makers need to be interested in page views, user agents, cookies, and IP addresses. He talks about the major application of the platform. He adds that you will be able to track the demand of the user from the bot with the actionable data. Furthermore, this makes easy to grasp what the user needs and send the agent at the right time into the conversation. Dashbot supports more than a single messaging service including Facebook Messenger, Kick, and Slack. Also, it provides an API that connects to other conversational interfaces. Dashbot has raised an amount of $2 million in the seed round. ff Venture Capital led the investment along with other participants such as Samsung Accelerator, Bertelsmann Digital Media Investment, Bessemer Venture Partners, Rembrandt Ventures, and Scrum Ventures. More than 1100 bots are supported by Dashbot platform. It also processes more than 230 million messages. The funds acquired will be used in improving the company product and increasing the team size including more engineers and staff. Furthermore, the firm is planning to execute service marketing towards business growth. Dashbot will bring more native support to the services of messaging. The core audience of the platform belongs to the enterprise field specifically, local industry, media, entertainment, or travel. Besides the sentiment analysis, it also offers AI responsiveness, a better understanding of conversation for developers, and other important features. Previous Wantrepreneurs Here’s The Article You Have Been Waiting For!